Wall Street Analyst firm Nomura Instinet recently spoke with Intel (NASDAQ:INTC) CEO, Brian Krzanich. Their takeaway was that AMD (NASDAQ:AMD) is most likely going to be walking away with server CPU market share through the second half of 2018 and every single % of this market that AMD wins it will be coming directly from Intel. The best Intel’s CEO could do is to draw a line in the sand at… 15-20% market share, which if AMD did achieve would be a massive win for the company. For its part, AMD management has gone on record aiming for high single % market share by the end of the year. AMD currently has ~1% market share. Its worth remembering that AMD did reach 25% market share back in 2006 thanks to its very popular Opteron server chips. Intel did a bit over $19 billion from its Data Center Group in 2017. 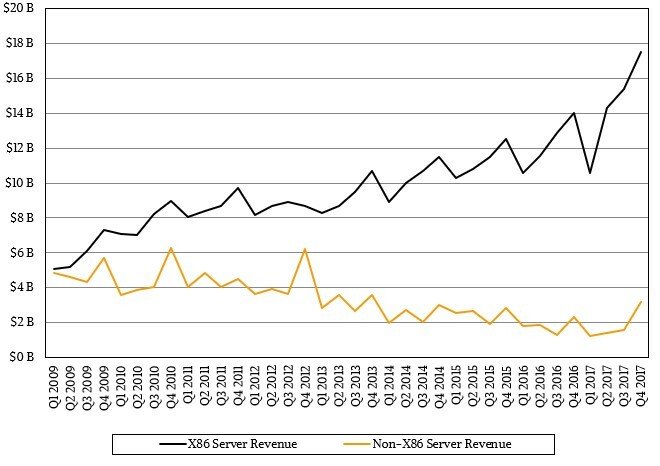 “Next Platform” estimates total X86 CPU revenue for the server market at $17.5 billion in 2017. Intel does count other sources of revenue aside from pure X86 processors sales to enterprise/data center but this should give you an idea of how large the server market is when it comes to X86 processors. Should AMD get to 10% market share, ~$1.8 billion, they would be adding a massive 40% above their total 2017 revenue. This includes everything from their custom X86 SoCs powering gaming consoles, Radeon graphics cards, Ryzen CPUs and everything in between. Don’t forget that these server parts are the gold standard of margins too – an area AMD has been struggling in for years as they’ve been forced to compete on cost rather than quality. Not only would AMD be enjoying massive top-line growth but they would also celebrate a healthy boost to the bottom line as well thanks to fatter margins. The analyst quoted Intel’s woes with ramping up 10nm and the multiple public delays Intel has gone through when it comes to Chipzilla’s next major process node. Intel has pushed its major ramp of 10nm products to next year, while AMD’s major fab partner for 7nm, TSMC, is forging ahead right on schedule for 7nm production later this year. 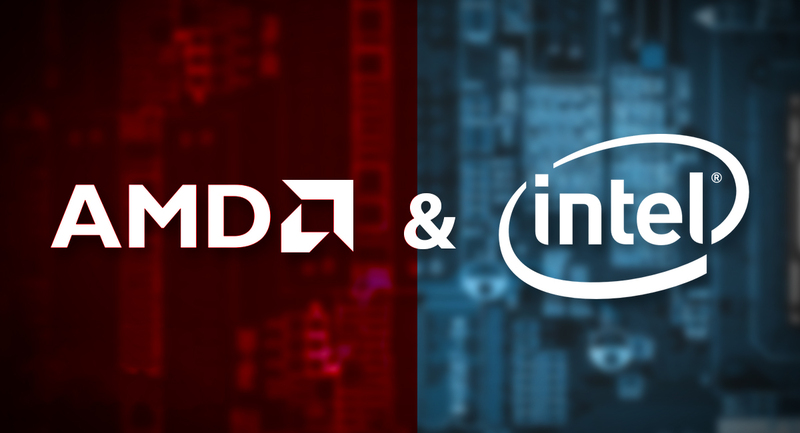 AMD may very well beat Intel to market with next-generation chips by half a year or more. While the 7nm vs 10nm production ramp may affect market growth for the world’s only two X86 manufacturers, today’s analyzation is really more about the here and now. Thanks to its modular layout, AMD is bringing more cores to bear for less money, all while matching Intel toe-to-toe on the all-important cost metric: energy efficiency. Intel’s monolithic Xeon dies may indeed continue to perform faster at certain workloads thanks to the decreased core to core latency, however more and more applications are all about cost versus efficiency and AMD’s EPYC is looking to score some big design wins because of it. AMD is rolling out EPYC 2 processors based on a refined 14nm process (now called 12nm) that will allow marginal increases in efficiency as well as new layouts that will again increase core counts. AMD stock has been strengthening in the last weeks and has is up 50% over the last 6 weeks. AMD closed today $15.73, a 10 year high. Intel closed 1%down today.